LOUISVILLE, Ky., September 13, 2018 /3BL Media/ – Yum! 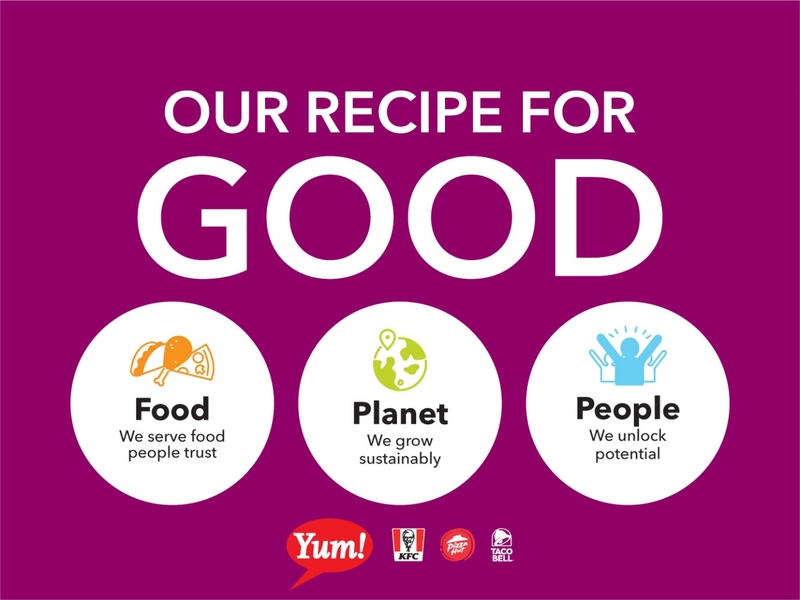 Brands (NYSE: YUM) today was once again named to the Dow Jones Sustainability North America Index (DJSI) for its ongoing commitment to sustainable business practices. DJSI is regarded as one of the leading sustainability benchmarks among businesses and investors alike. Since launching in 1999, DJSI has become a leading global index that tracks the sustainability performance of businesses. In collaboration with RobecoSAM, the index assesses and ranks the economic, environmental and social impact of around 3,500 publicly traded companies. View details about the 2018 DJSI here. Yum! Brands, Inc., based in Louisville, Kentucky, has over 45,000 restaurants in more than 135 countries and territories and is one of the Aon Hewitt Top Companies for Leaders in North America. In 2018, Yum! Brands was recognized as part of the inaugural Bloomberg Gender-Equality Index, named to the Dow Jones Sustainability North America Index and ranked among the top 100 Best Corporate Citizens by Corporate Responsibility Magazine. 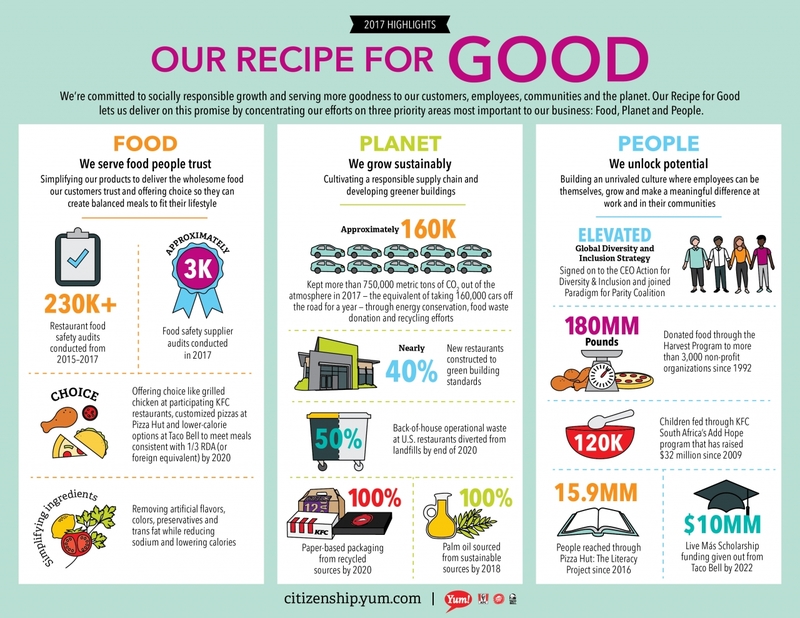 The company’s restaurant brands – KFC, Pizza Hut and Taco Bell – are global leaders of the chicken, pizza and Mexican-style food categories. Worldwide, the Yum! Brands system opens over seven new restaurants per day on average, making it a leader in global retail development.